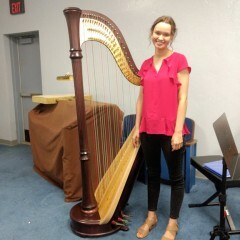 Me playing on my bigger, pedal harp. Me playing on my smaller, lever harp. Background music, weddings, and other special events. 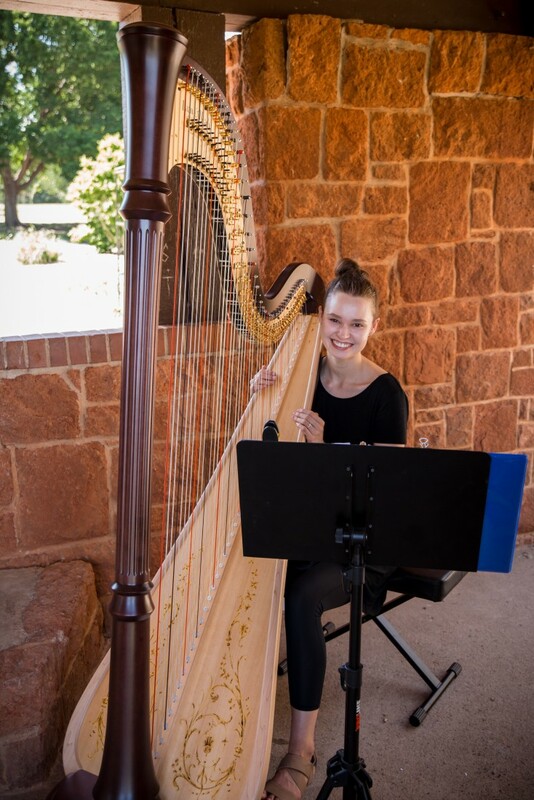 I have been playing harp for 7 years and would love to play my harp for your next event! I offer a range of music from classical, to pop, to Christmas! Contact me if you have any questions, or to hear me play before booking. 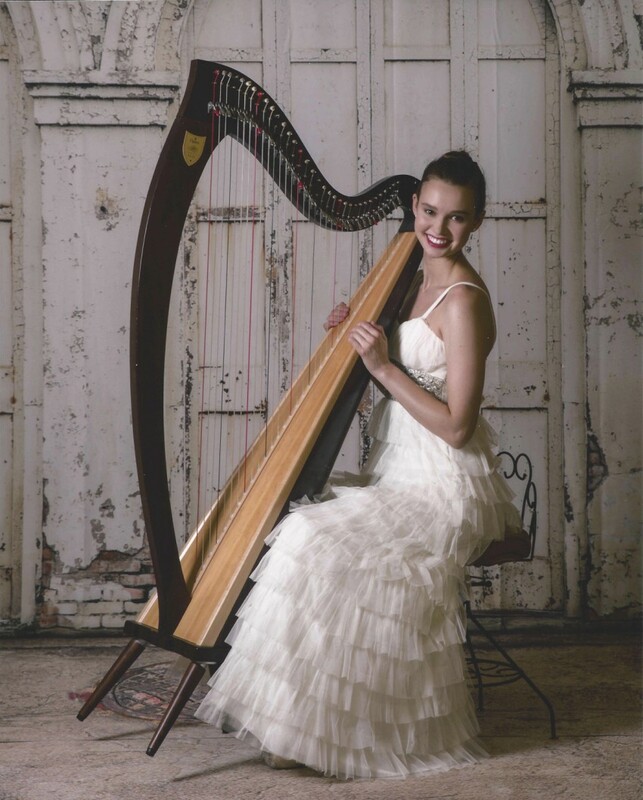 I have two harps that I can either play for your event (one smaller, and one bigger). Whenever you request a quote please identify which one you would like for me to give you a quote for. If you have any questions regarding the differences between the two don't hesitate to contact me! Thank you! Chloe was absolutely amazing! She worked with us and was flexible to provide a wonderful evening of entertainment. She's very professional and I would highly recommend her to anyone! She is amazing! She is detail oriented and so professional! She is a must for any event. Thank you so much Shelly! Your wedding was absolutely beautiful! Thanks for allowing me to be a part of your special day, I greatly enjoyed it! Ms. Singleton performed for our District Meeting and did an excellent job. I received numerous comments from those attending at how impressed they were with her performance. Thank you so much for the review and picture! 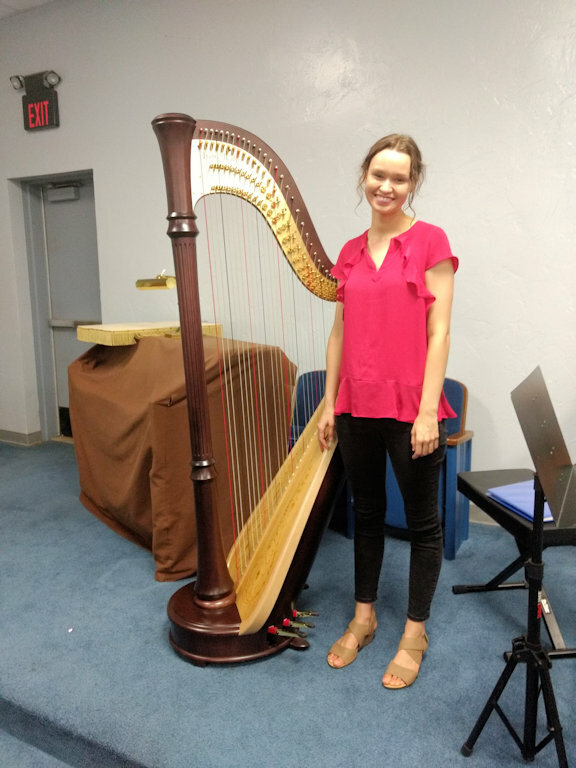 I really enjoyed playing for your meeting!